The London Internet Exchange (LINX) has announced the launch of the latest edition of its quarterly magazine, HotLINX, which includes a special three page feature on Cloud Computing as its lead story. Internet intelligence and cybersecurity experts Renesys, LINX member BSO Network Solutions and network hardware provider Brocade, have all contributed with each approaching the Cloud concept from a different angle. The topic has polarised many in the industry so these articles are sure spark further debate in the LINX community. LINX is a mutual, not-for-profit organisation whose 370-plus members include the majority of the world’s leading network operators. Membership of LINX provides a cost effective way of improving traffic latency and quality by direct peering with other member networks. Gap Logo: Was scrapping new indentity just a gimmick? 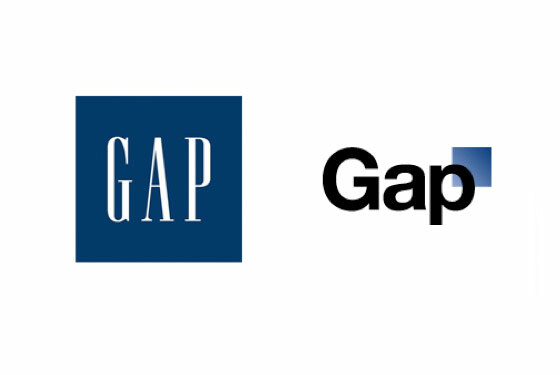 I was interested to hear this week that clothes retailer Gap had ditched their new logo just six days after its launch. After falling sales in recent times the company had to do something to revive its fortunes but the new design was so poor I simply cannot believe that they felt that this was the image that was going to achieve the success they craved. It was as if it was deliberately terrible just to provoke a reaction. Gap has nearly 300 stores in Europe and Asia, is valued at nearly $4 billion, and is reportedly the 84th most-valuable brand in the world according to an Interbrand study. Because of this the more I look at the rejected logo, the more convinced I am that this was simply a publicity stunt, a veiled attempt to generate media exposure. The original identity is still strong though it is quite obviously of its day, ie the early 90s. Maybe it is time for a revamp but their choice had nothing that would identify it as a major brand whatsoever. As one commentator had it, it look more like a logo for an IT firm. The X Factor is the biggest show on British TV right now and anyone advertising their product during the ad breaks are going to have pay a huge premium for the privilege. If you can secure a spot in the first break of the live shows you will have to pay even more. Yeo Valley Organic have just done that with a full two minute ad promoting their milk with an innovative commercial which sees trendy young farmers rapping. It’s certainly not the traditional way we expect to see the countryside portrayed. July the 7th 2010 is the 5th anniversary of the London bombings where 52 people were killed in four separate but co-ordinated terrorist attacks. I would like to take the opportunity to reproduce one of my articles that was written about those tragic events that seeks to explain how small, seemingly meaningless, decisions, can have a massive impact on people’s lives. Where we are in our lives today is essentially the end results of two seperate series of actions that run alongside each other. One is based on our own internal decision making and how we react to the situations we are faced with and the other are the external events over which we have absolutely no control. Making the distinction between them both is very important. What is difficult to comprehend is that what happens to us today could be traced back to borderline decisions made hundreds and thousands of years ago. The future changes with any decision any of us make no matter how trivial it seems in the greater scheme of things. If we think back to the London bombings in July 2005 we can look at many peoples lives completely changed, not just for the unfortunates who were killed and injured, but for the family and friends who have had to deal with the aftermath. In fact we’ve all been affected in some ways because our attitudes will change with respect to travelling in London and what we feel for certain members of society, it can’t not have an impact. Over the years I have run many 10Ks, 10 milers and half-marathons and and also a duathlon of two 5Ks and a 10K bike ride but it is the marathon that is the ultimate memory for me. Many people are about to embark on their first London Marathon experience on 25th April and I wish them all the very best. Tomorrow marks the 11th anniversary since the last of my four London Marathons and rather than do what would in effect be a review of each one, I am going to pick out 26.2 of the more memorable instances from those four runs which best represent what it can be like to compete in a big city event. The route has changed since I last competed but you’ll get the picture.So here it is: This is your chance to take part in a marathon without moving from your PC. Don’t forget keep hydrated so I suggest you get yourself a beer! 1. On the free train from London Bridge station to Blackheath you join the masses of runners heading for the start. They all look fitter than yourself but everyone feels a connection because we are about to embark in what is akin to a spiritual experience. We are testing our strength and personal resolve against the ultimate test of human endurance – the mythical distance of 26 miles and 385 yards. Some people are quiet with it being their first event, others are chatty and excited having been this way before and then there are those who are running for a loved one or a good cause. In this final category you get those who take it a stage further and run in fancy dress. It is not often you find yourself nose to nose with a person in a rhino costume but curiously no-one bats and eyelid. Any other day and these people would be sectioned! I just thought I’d take this moment for a brief political rant as the UK prepares for a General Election on May 6th. Vote for what you believe in! If you think your party of choice has no chance of winning, voting for a different party just to stop another getting in is almost as bad as not voting at all. People are often so caught up in what they don’t want they won’t vote for what they do want. Basically, as long as the perceived enemy doesn’t get in all is well. While the media and political parties would never allow it, we should ban political opinion polls, at least during the electioneering period. All they do is influence the way the public votes rather than reflect true public opinion.You don’t have to look at the following graph for long to reach the conclusion that a vote for the LibDems is probably a wasted vote. The point is is that I didn’t make that conclusion based on party policy but on data from a newspaper poll. The following article on marketing spend on print and Internet advertising particularly interested me as the majority of career has been in the print arena. This day had to come but it will be interesting to see where it all eventually leads. Can you ever imagine a time without books, magazines and newspapers? Not yet certainly but when we consider the rate of technological advancement, we may find a true paperless world here sooner than we think. Internet-based marketing spend is set to overtake print advertising for the first time this year, it has been claimed. Spend on digital advertising – which includes email marketing – will reach almost £80 billion this year and edge ahead of traditional newspaper and magazine advertising spend. The research, conducted by publishing specialist Outsell, which surveyed more than 1,000 US businesses about their digital marketing budgets, showed that search engine marketing and webinars would play a part in boosting online advertising budgets. On Saturday I wrote a blog post on Business Startup – The Business show, an event for anyone looking to start a new business. Amongst the speakers are two former Dragons from BBC TV’s, Dragons’ Den in Richard Farleigh and Rachel Elnaugh. For this entry I thought I’d do a little digging to see what the current entrepreneurs from the show are up to at the moment. This week it has been announced that James Caan is to be on a panel of judges for the Nectar Business Small Business Awards 2010. Now in their second year, this event will recognise the achievements of exceptional small and medium sized enpertises with prizes of up to £2,000 cash and 50,000 Nectar points. Duncan Bannatyne, meanwhile, is playing a leading role in the 2010 No Smoking Day campaign by starring as the granny in a remake of the Queen video ‘I want to Break Free’. The annual event sees nearly one million smokers quit each year.